Make language-learning a lifestyle change. Elisabeth Buffard has been teaching English for 27 years. She says that consistency is what separates the most successful students from the rest. 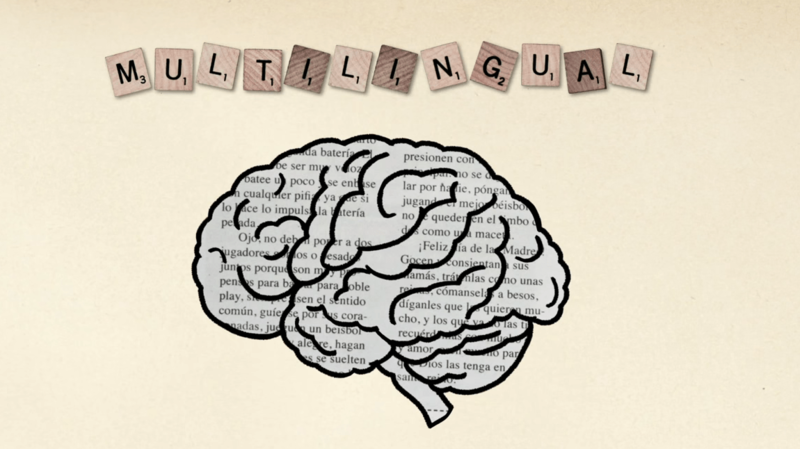 Find a language habit that you can follow even when you’re tired, sick or madly in love. Play house with the language. The more you invite a foreign language into your daily life, the more your brain will consider it something worth remembering. “Use every opportunity to get exposed to the new language,” says Russian translator Olga Dmitrochenkova. For example, you might label objects in your house in the language, read kids’ books written in it, or watch subtitled TED-Ed Originals. Let technology help you out. Dmitrochenkova has a great idea: “A funny thing like resetting the language on your phone can help you learn new words right away,” she says. Ditto for changing the language on your browser. Or you can seek out more structured learning opportunities online. Dutch translator Els De Keyser recommends Duolinguo for its approach to grammar, and Anki for memorizing vocabulary with its “intelligent” flashcards. Think about language-learning as a gateway to new experiences. To Spanish translator Sebastián Betti, learning a language has always been about focusing on the experiences that the new language would open up, from “visiting theme parks, to enjoying cowboy poetry and folk-rock festivals, to learning about photo-essay techniques.” In other words, he thinks of fun things that he wanted to do anyway, and makes them into a language-learning opportunity. Many of our translators shared this advice. For example, Italian and French translator Anna Minoli learned English by watching undubbed versions of her favorite movies, while Croatian translator Ivan Stamenković suddenly realized he could speak English in fifth grade, after years of watching the Cartoon Network without subtitles. So the next time you need a vegan carrot cake recipe, find one in the language you’re trying to learn. Do not worry about making mistakes. One of the most common barriers to conversing in a new language is the fear of making mistakes. But native speakers are like doting parents: any attempt from you to communicate in their language is objective proof that you are a gifted genius. They’ll appreciate your effort and even help you. Nervous about holding a conversation with a peer? Try testing your language skills with someone a little younger. “I was stoked when I was chatting with an Italian toddler and realized we had the same level of Italian,” recalls German translator Judith Matz. And be patient. The more you speak, the closer you’ll get to the elusive ideal of “native-like fluency.” And to talking to people your own age.